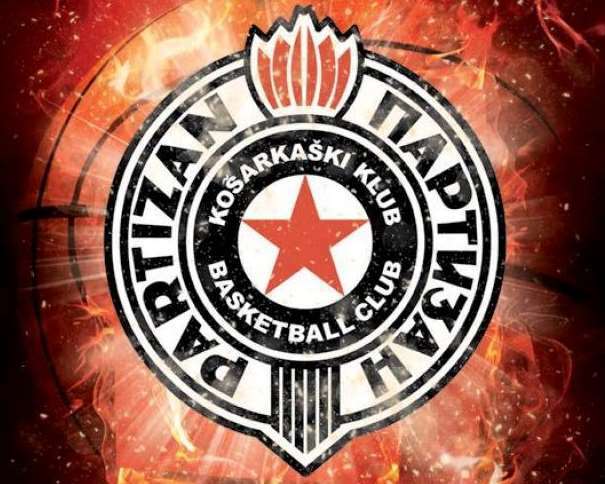 Partizan will play against Monaco (La Roca Team, Les Rouges et Blancs, The Red and Whites) in the EuroCup Top 16 third round, in the Aleksandar Nikolić Sports Hall (also known as Pionir). This will be the first match between these two teams after more than 35 years. 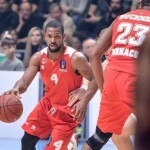 Both teams have one victory and one loss in this EuroCup Top 16 2019, and both squads won in the second round. In the first round, the guests lost in Berlin (74 – 83) while Rytas Vilnius was better than the home squad with a score of 80 – 74. In the second round, Monaco was better than the Lithuanian team with a score of 75 – 70 and the Black and Whites (Crno-Beli) won 78 – 66 against the German team. Looking back at the previous results in the Group E, it is obvious that all 4 teams will start fresh in the Round 3. All squads are going for the win, so that will also be the case in the match between the Serbian and the team from Monaco. Two brothers will clash in the game in Belgrade. 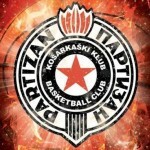 The Small – power forward Bandja Sy from Partizan and his older brother Amara Sy (small forward) will be on opposite sides. And while the younger Sy was averaging more than 21 minutes on the court in this EuroCup 2018-2019 (21:27), the older brother didn’t spend any minute on the court in the second best European club competition during this season. Maybe the game in the Serbian capital city will be opportunity for Amara Sy to play against his brother. 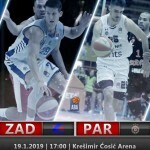 Away the squad will depend on, maybe, two of their most important players: the Bosnian center Elmedin Kikanović and the shooting guard Paul Lacombe. Kikanović is familiar with the atmosphere in Pionir because he was a part of Crvena Zvezda from 2007 till 2010. Now, the Bosnian center is averaging 16.3 points and 5 rebounds per game (average index rating of 18.2), while his Frenchmen teammate Lacombe is averaging 10.3 points, 5.7 rebounds, 4.3 assists and 1.6 steals per game (average index rating of 13.9). The Power forward Ian Hummer is the third best player of Monaco during this season in the EuroCup and he is averaging 8.3 points, 5.5 rebounds and 1.3 assists per game (average index rating of 12.0). All of these three mentioned players are average spending more than 23 minutes per game on the court in the EuroCup: 27:45 for Kikanović, 28:26 for Lacombe and 23:27 for Hummer. In Andrea Trinchieri’s squad, Vanja Marinković spent the most time on the court (averaging 29:26 minutes per match), while the best in all phases was Jock Landale whose average index rating was 15.2. Now, looking back at the two previous games, the newcomer Alex Renfroe was the Second best with 4.5 points, 4 rebounds and 10 assists per game (average index rating of 16, after 16.5 of Landale). Also, Rade Zagorac and Marcus Paige showed that the head coach could count on them (the average index rating of Zagorac was 12.0 in his 9 games, while Paige had an average index rating of 11.2 in the whole 12 games). In the last games in the second best European club competition, both teams won all thanks to an excellent team defense and this will also be the key factor in the match in Belgrade (White City). The team that shows more energy in defense will definitely celebrate in one of most important games of this round.